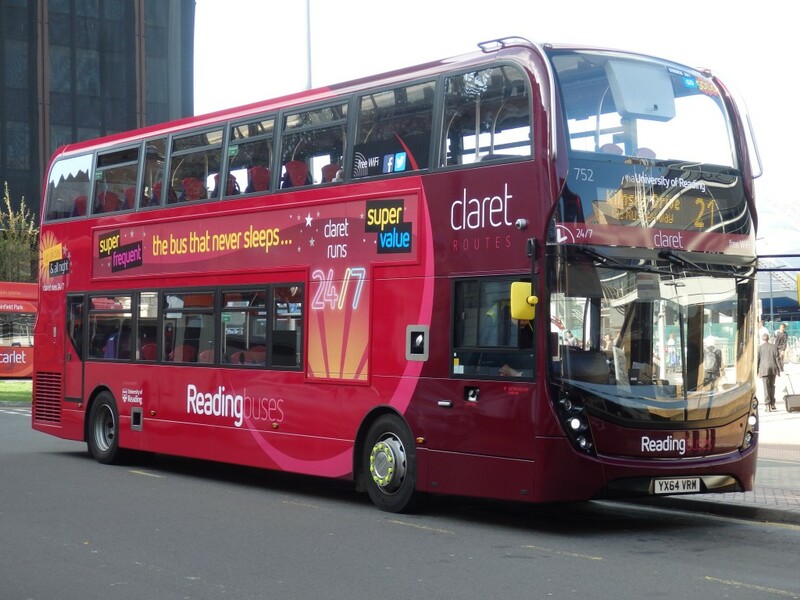 We always look forward to Catch the Bus Week at Reading Buses, and this year was no exception. We planned the activity well in advance to see how we could follow on from last year’s campaign, and decided to focus on the message ‘simple yet effective’. As Catch the Bus Week is all about getting people to use the bus more, we wanted to come up with ideas that would encourage bus travel. We also became aware that Journey Solutions were running a PlusBus campaign at Paddington Station during the week, so it was important for us to align to this and mirror the messaging for passengers at Reading. The first idea was to utilise our on-board next stop information screens. These play a range of static adverts between stops, and from Monday to Friday we had them displaying a ‘word of the day’ that people could use as a hashtag on social media. All the words were designed to be positive about buses, from the obvious #beautifulbuses to the more abstract but aspirational #windowseat. Each day we awarded a free weekly or 10-trip smartcard to a randomly chosen winner. A lot of customers engaged enthusiastically with this, shaping their tweets around the hashtags – for example “Enjoyed my #windowseat on the fastest bus in the world this morning #projectvroom”. Our final idea was to give the week a bit of theatre and create some highly visible activity in the town itself. We had some bus sandwich boards specially made, which some of our staff wore around the town centre (with Catch the Bus Week foam hands of course!) whilst giving out 2,000 free bus tickets valid for the week. They had some very positive feedback from people who thought it was a great initiative – as well as being a lot of fun! We had nearly 50 per cent redemption of the tickets, which built on the success last year. All our activity was supported by press releases (both before and after the week itself) which generated some very positive media coverage, as well as information on our website. We supported the campaign with social media throughout the week by, for instance, retweeting customers’ comments. This was definitely the most successful Catch the Bus Week we have ever had, and we are already looking forward to next year to see how we can increase our activity and create even more buzz around buses in the town. After all, it’s not often you get to align to a national campaign as a municipal bus operator!